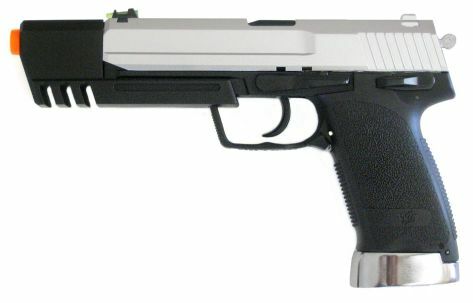 This Super Raider gas gun features the All-in-One CO2 magazine technology. The bb's and CO2 cartridge fit inside a standard magazine, and its highly efficient non-blowback action fires up to 150 bb's from one CO2 cartridge. Comes with 100 bb's in a speed loader bottle, two interchangeable sights (1 Fiber Optic and 1 Standard) manual and paper targets. CO2 cartridges sold separately. Shooting Range: Effective: 75 ft. Maximum: 200+ ft.